I am proud to say that with hard work comes recognition. 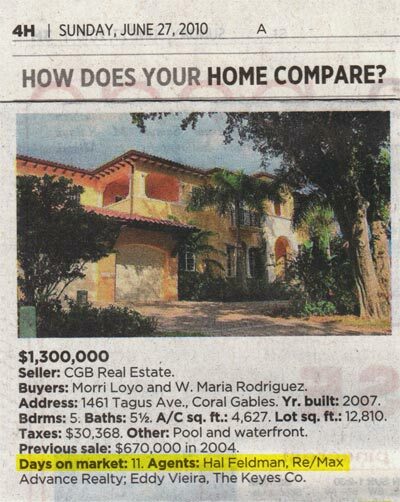 On June 27, 2010 I was recognized in the Miami Herald's "How Does You Home Compare?" column. I'd be honored to work with you no matter what the price of your dream home. Contact me today!